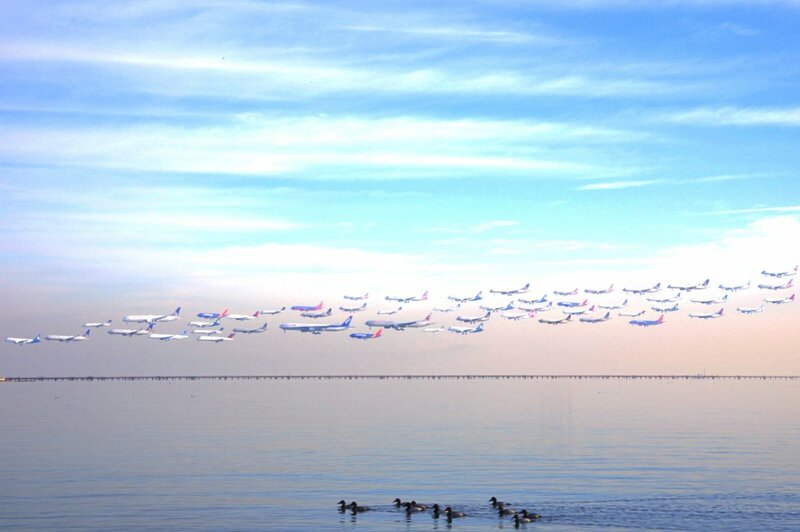 This is a composite photo, I captured about 60 images of aircraft arriving into SFO. The focal length stayed the same for all shots so the aircraft sizes are true to scale. I tried to keep the aircraft as close to actual position as possible without overlapping any aircraft. If this were a smaller airport I would have to sit here all day to capture this many aircraft but this is San Francisco and was taken over a 90 minute period, they are so busy. I would say this is an especially tough competition, the quality of the entrants is very high, and I just love this capture.